Since 2006, and for most of their married lives, Drs. Lehman and Waggener have worked together to build a practice where staff and patients become like family. 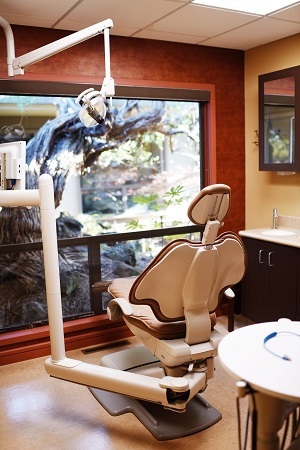 Our state-of-the-art Santa Rosa dental practice combines both new traditional techniques with advanced technology to deliver increased comfort and results that consistently exceed expectations. Proper dental care requires both sufficient home care and regular visits to the dentist for exams and cleanings. At our Santa Rosa dental practice, we believe advanced dentistry, at its philosophical core, is “dental health care” and not “disease care.” Prevention is the starting point for effective dental care and should always be regarded as the first defense against tooth decay and gum disease. Our approach to prevention involves the application of sound techniques and leading-edge technology. To make an accurate diagnosis, we use a combination of intra-oral and panoramic digital x-rays to get a complete picture of teeth and gums along with a comprehensive examination. We recommend sealants and fluoride treatments for children. During visits, we also evaluate and advise on orthodontic issues. For adults, we routinely conduct oral cancer screenings and examinations that assess the overall health of your smile. A clean and organized environment is vital to a good dental practice. Our emphasis on maintaining a sanitary and family-friendly environment makes it easy for us to stay compliant with critical safety standards. We adhere to all standards set forth by the ADA (American Dental Association), of which both Drs. Lehman and Waggener are members, and the rules set forth by the CDC (Centers for Disease Control) and OSHA (Occupational Safety and Health Administration). A healthy smile is a confident smile. We believe good dental and oral health can be invaluable in making lasting impressions. From simple teeth whitening to full restorations and everything in between, we love helping patients bring out the brightest and best in their smiles. The team at LehmanWaggener Dental are committed to providing a peaceful, relaxing, and positive experience when you visit our Santa Rosa dental office. In addition to the expertise of our dental care providers, our patients also appreciate the calm environment our dental practice offers. Each of our operatories overlooks a garden or waterfall setting. Our dentists listen carefully to your dental concerns and any anxiety you may have. We aim to establish a healthy ongoing dialogue with all our patients, one that emphasizes working together and building trust. Click here to contact us with any questions or here to request an appointment time using our online form.